With over 30 years of experience, our localised approach to courier service is one that you can count on. We offer a solid backing of both national and international networks, specialising in economically priced, personalised courier delivery and pickup services, providing for your business, large or small. 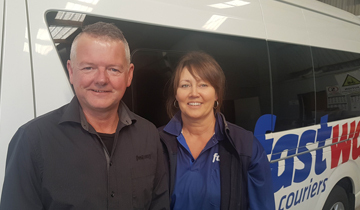 Locally owned and operated by Regional Franchisees, Roger and Denise Gore, our Taranaki team of Courier Franchisees offer a reliable and friendly courier service. We are proud recipients of the 2017 Fastway Couriers NZ Regional Franchisee of the Year. Our service area includes the greater Taranaki region, including (but not limited to) Waitara to Stratford, right through to Hawera. 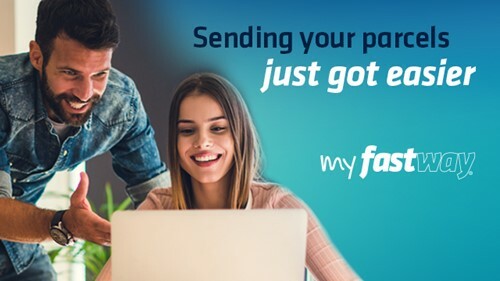 The community is at the heart of what we do here at Fastway Couriers Taranaki and we are proud to be associated with the Cure Kids foundation.